April 11, 2018 Courtesy of the Burnaby Now. 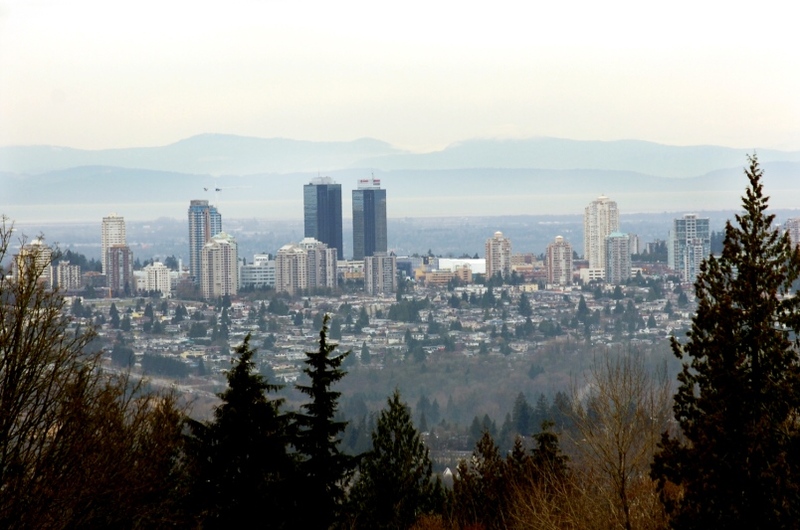 The skyline at Metrotown could continue to rise should three new high rise buildings be approved, removing four three-storey walk-ups and 211 units of housing in the process. Council reviewed a series of preliminary rezoning requests Monday night, including applications to build high rise residential buildings at 4960 Bennet St., 5900 Olive Ave., and on the shared property of 6366 Cassie Ave. and 6433 McKay Ave. All four existing buildings were built in the ‘60s. Several similar properties the Metrotown neighbourhood have been purchased and redeveloped into high rise luxury condominiums following changes to the Burnaby’s Metrotown Downtown Plan last year. The proposals are still in the initial stages, and will return to council at a later date with further details prior to first readings and a public hearings. Mayor Derek Corrigan said that it was too early to come to any conclusion about these proposals, but noted that owners of older buildings in Metrotown may find holding on to them difficult as their taxes increase with the value of land, without the ensuing increase in value of the building. “It’s a situation that happens in all different areas, and you can stall development as we’ve done in Metrotown for many years, but it reaches a point where the buildings are basically dilapidated and the owners aren’t putting money into them, and there are choices to be made,” he told the NOW. He said the issue was difficult one for council because many councillors are concerned about the residents who have to be relocated when the older, often low-cost rentals, are demolished. Zoe Luba with Alliance Against Displacement and Stop Demovictions Burnaby, said should the rezoning applications go forward, it would follow the recent trend of affordable low end-of-market rental building disappearing in the neighbourhood. Polygon Development is requesting a rezoning from R3 multiple family district to CD comprehensive development district at 5900 Olive Ave., in order to build a 38-storey residential tower with two-storey “cityhomes,” for a total of 265 new homes. But building them will require remove the existing 71-unit three-storey walk up, built in 1967. As part of the plan, Polygon is proposing funding transit passes for future residents, two secured bicycle space per housing unit, to build EV charging stations, and donate two electric vehicles to the future strata. Belford Properties Ltd. is requesting to build one high-density high rise residential building and street-oriented townhomes by combining the properties at 6366 Cassie Ave. and 6433 McKay Ave., currently the site of two three-storey walk ups and 95 units of housing. Ledingham McAllister wrote in a letter to council of the intention to demolish the existing buildings at 4960 Bennet St. – a 45-unit three-storey walk-up built in 1966 -- and redevelop the site with one high-rise multi-family apartment building with underground parking, and ground-oriented townhouses. Their application requests rezoning from the RM3 Multiple Family Residential District to a CD Comprehensive Development zone on the 36,540 square-foot site, and requires consolidating the site into one legal parcel of land. The staff report said there is an “expectation of significant community benefits,” along with a sustainable redevelopment approach, public realm improvements, and high-quality urban design from the project. No dates for first reading of these zoning bylaws have been set.